Photoshop is great at seamlessly combing photos to create an entirely new scene. In this tutorial we will create an elephant sundae using several stock photos. Let's get started! This tutorial uses the following images but you are welcome to find alternatives for the ice cream and wine glass images. Open the wine glass image. Our first step is to try to manipulate the wine glass into a more dessert-like container. Start by selecting the top half of the wine glass and Copy (Command/Ctrl + C) and Paste (Command/Ctrl + V) it on to a new layer. Transform > Warp this layer to drop the base of the glass more. This will result in a more defined perspective. As an additional step, I've used the Liquify Tool on the base of the bulb of the glass. This will help with the perspective. Go back to the original "Background" Layer and select the base of the wine glass. Copy (Command/Ctrl + C) and Paste (Command/Ctrl + V) this on to a new layer. Transform (Command/Ctrl + T) this layer by scaling it vertically until the base of the wine glass has a stronger perspective. Move this layer up so that it appears to be a shorter dessert glass. Use a layer mask to help blend this layer with the rest of the glass. Don't worry about the "Background" layer—we will crop this down later. Using a soft brush set to a low Opacity, sample the background colors and start blending so that the background appears uniform. Quickly sample colors by holding down Alt with the Brush Tool selected to switch to the Eyedropper Tool. To finish the dessert glass, we need to correct the perspective on the top of the glass. Currently, we are looking ‘up' at the opening and we need to be looking 'down'. Using a small brush, sample the colors on the glass and repaint the sides that overlap. The goal is to reverse the direction of the overlap to make it appear that the opening of the wine glass is now in front. Save this as a separate file in case you need to go back and change anything. Flatten this image and select just the wine glass and drag it down to the bottom of the canvas. Next, select the space just above the wine glass and stretch it to fill in the top of the image. The next step is to go through your images of the elephant and extract the parts you can use. Use the Pen Tool to make your selections and Paste them to a new layer. When you're done extracting all the pieces, place them into the new scene with the dessert glass. Now that we have all the pieces on our canvas, go through each one and clean it up a bit. For this piece, I've used the Clone Stamp Tool to remove the tusk. A trick is to use the Clone Stamp Tool on a new clipping layer with the Sample set to All Layers. This will allow you to work freely without having to worry about cloning past the boundaries of the image. I also copied portions of the trunk and manipulated it to rebuild the damaged sections. For the body, I've used the same techniques from the last step to remove the small portion of ear that was cropped with the piece. For the legs, I've continued the same process to remove the chains and rebuild the legs. The next step is to get all the colors to match. First, we'll decide which piece we want to match the color to. In this case, the "Body" layer is the largest piece with the most uniform color, so we will match the other pieces to that. Select one of the leg pieces and go to Image > Adjustments > Match Color. 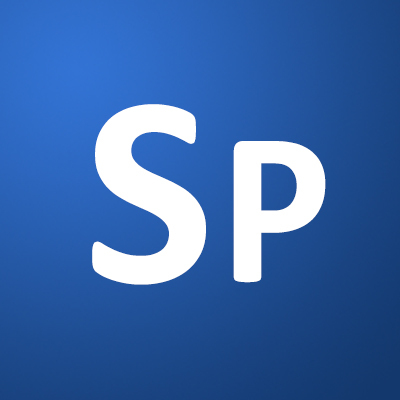 In the Source box, select the PSD file that you're working in. In the Layer box, select the "Body" layer. You can use the sliders to fine-tune the color correction. The texture on the legs appears too flat. To add texture, we will sample some of the texture from the "Body" layer. Start by selecting a portion of the body piece that has good texture. Copy and Paste this piece above the leg layer and make it a clipping layer. Edit > Transform > Warp this layer to match the contours of the leg. Continue this technique to add texture where needed. Now, flatten each piece to its own layer. Next, make a copy of the body layer and Edit > Transform > Warp this so that it covers most of the interior of the glass. This layer will act as a backdrop to cover any unintentional gaps as we put the pieces together. Use the Pen Tool to trace around the inside of the glass. It helps to hide the "Body copy" layer so you can see the edges of the glass. Go to Window > Masks to open up your Masks Panel and select the "Add Vector Mask" button (Alternatively, you can just right-click the path and select "Create Vector Mask" as long as you still have the Pen Tool selected). This will allow us to update the path at any time to refine our mask. Make another copy of the body layer and Warp this one into position. This body layer will be used as the main body. Create a new Layer Mask. Use this mask to blend this layer in with the background body layer. Also, remove the parts of the body that are coming out the top of the glass. Make one last copy of the body layer and Warp it to appear as if it is bulging out the top of the glass. Use the Pen Tool to create a Vector Mask, just like we did in step 22. Next, make a copy of the "Head" layer and Warp this into position. Make a copy of the "Foot" layer and place it as shown. Create a new Layer Mask and mask out most of the leg, leaving just the foot. Make a copy of the "Thigh" layer and place it behind the "Foot" layer. Use a Layer Mask to blend the thigh into the rest of the body. It doesn't have to be perfect—we will fix anything that needs it later. Make another copy of the "Thigh" layer and Rotate and Scale (Command/Ctrl + T) into position. Create a Layer Mask to help create the illusion that this leg is wrapped around the foot. Go back to the original body layer and select some of the texture using one of the marquee tools. Copy and Paste the sampled texture over areas that need help blending in. Transform or Warp the texture into position and blend in using a Layer Mask. After you've done this, go through and merge each grouping of pieces into their own layer. This image should have four layers (not including the "Background" layer): Body, Head, Foot and Thigh. Go through each piece and apply the Sharpen Filter (Filter > Sharpen > Sharpen). This will help bring out the detail that was lost when we were manipulating the pieces. Our next step is to add some depth to our image. Just above the "Body" layer, create a new clipping layer with the Blending Mode set to Multiply. With a soft brush set to a low opacity, sample a dark gray color from the elephant and start painting over the low lights and shadows. Continue this technique with each piece of the elephant. Our next step is to make the elephant appear behind glass. To start, merge all the pieces of the elephant together (to make things easier, I've merged my scene down to three layers: the Background, the elephant pieces that appear inside the glass, and the pieces that appear outside of the glass. It might be a good idea to save this as a new file. On a new clipping layer, use a white brush and paint over the elephant where it might be making contact with the glass. Set this layer's Opacity to 27%. Also, adjust the layer's Blend If sliders to allow for the texture to show through. Continue this technique for other areas on the elephant, making sure each new layer is a clipping layer. I've also used Layer Masks to fade the effects as needed. Add another clipping layer and with a large, soft brush, paint in some white around the edges of the elephant. Add another clipping layer and with the same brush, paint in some larger areas to make it appear to reflect light. Change this layer's Opacity to 27%. Continuing this technique, add a shine with a harder edge. Change this layer's Opacity to 33%. To finish the elephant, I have painted a new eye. To do this, create a new layer and use the Ellipse Tool to make a dark brown ellipse. Add a subtle Drop Shadow and Rotate (Command/Ctrl + T) into position. Now, start to paint the eye using a new clipping layer. Use a hard black brush to paint in the pupil. After that, use a soft brush with a low Opacity to paint in colors of the iris and possible reflections. To finish, add some white dots to get that glossy, realistic effect to the eye. Open up the image of the dessert and extract just the whip cream topping with the help of the Pen Tool. Paste the image into our scene. Add a Hue/Saturation Adjustment layer to color correct the image. Note that I have used a Layer Mask to hide the cherry from the affects of the Adjustment Layer. Using the same techniques from Step 34, paint some shadows on a new layer to help add more definition to the whip cream. Do the same with the highlights, using a white color to enhance the highlights. Changes will be subtle, but effective. Lastly, add the shadows casted by the whip cream on to the elephant. Make sure to do this on a new layer that is below the Whip Cream Layer. You're Done! Your image should resemble the following.